It’s time for some jewelry making! 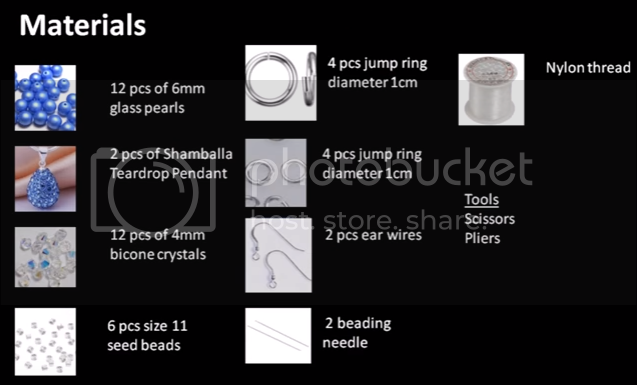 Today, you’ll be learning how to make your own earrings using pearls, bicones and a sparkly shamballa teardrop beads! 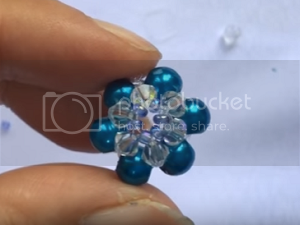 This free tutorial on how to make earrings is suitable for beginner to intermediate skill level students, but I’m sure with the video tutorial and the written steps we’ve created anyone would be able to follow. Cut an arm span of thread and insert beading needle at both ends. String 6 seedbeads, crossing the threads into the last seedbead to make a circle. Bring the beads to the center of the thread. We are going to form 6 units around the circle. Each unit consists of 4 beads. 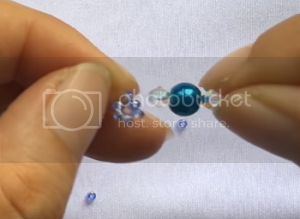 On your right thread, string a bicone, pearl, and bicone then pass the left thread into the last bicone. 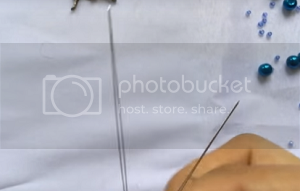 Pull the thread and this is how it should look like. You have created one petal. As you can see from the first unit, it consists of 3 newly added beads and 1 from the seedbead of the circle I have done earlier. Now, pass the left thread into the next seedbead going to your left. Pull the thread and you are ready for the next step. String a pearl and bicone then pass left thread into the bicone. Pull the thread and now, you have created 2 petals. For the 2nd petal, we have added 2 new beads. Another 2 units are shared with the first unit as well as the seedbead circle. 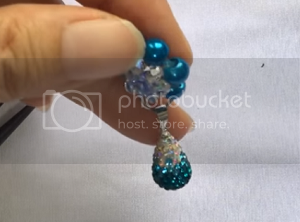 That makes it 4 beads in 1 unit. Repeat step for 2nd petal and create 3 more petals. On the 6th petal, we will be sharing 3 beads from 5th and 1st petal as well as seed bead from circle below. 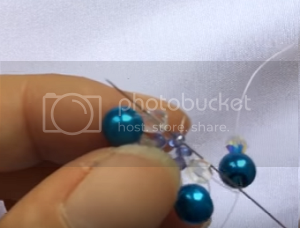 Pass left thread into 1 seed bead and 1 bicone on your left. Weave the last petal by crossing both threads into a pearl. 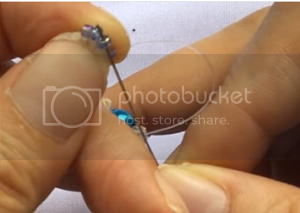 Now you can pass threads back to the earrings to tighten it. 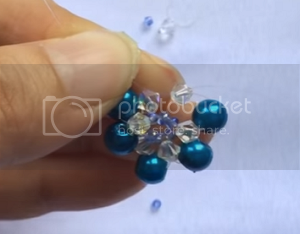 To tighten the earrings and to make a 3D effect instead of the flat one, let’s pass the thread throughout the glass pearls at the edge. To do so, you need to pass the threads till you reach a pearl bead and cross both threads into the pearl. 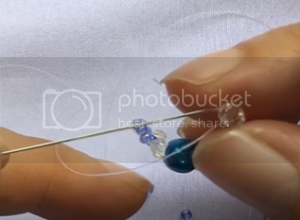 Then pass one the threads throughout the all other pearls beads and tighten the thread. 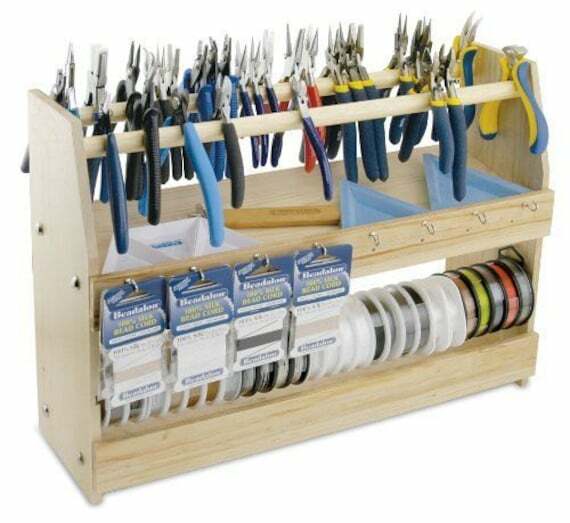 To end, tie a knot and cut off excess threads. 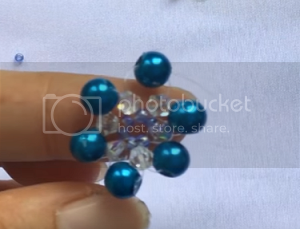 At the top, insert 1 jump ring within the beads. Then place 1 more jump ring on top. 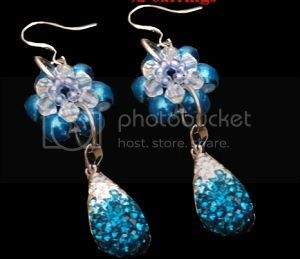 You can then place an ear wire to complete the earring. 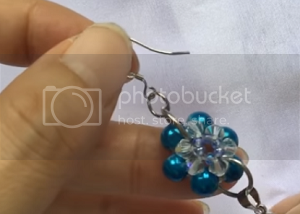 Repeat the steps to make a matching earring! You are done! We hope you had fun learning how to make your own earrings. 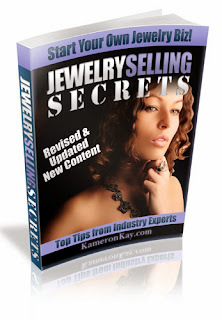 Stay tuned for more free jewelry making tutorials!